Your staff and others have worked tirelessly to expose the rampant corruption and abuse of our families in Civil Air Patrol. I regret to inform you that Rex E. Glasgow terminated his life on December 9th. While no-one is perfect, he was a leader and a mentor to many of us. A Facebook group RIP Rex Glasgow has been prepared for the sharing of memories and thoughts. • Does CAP Need Change? 6 Comments on "In Memoriam: Brig Gen Rex E. Glasgow"
I want to inform you that Quakertown Composite (PA-904) marched this Memorial Day to call attention to Mission 22 and veteran suicides. The pedophilia and other abuses in Pennsylvania Wing Civil Air Patrol are well known. Leidy is only one case that was made public. 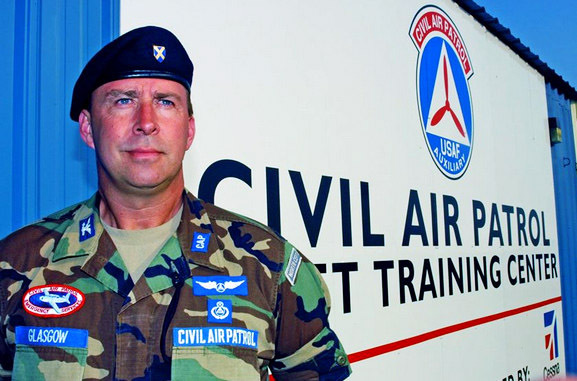 Some of those who attempted to correct abuses in PAWG were intimidated by Civil Air Patrol leaders who wanted to make it go away. CAP cadets are not being told of this history and someone needs to do story on the history of abuses in Pennsylvania Wing Civil Air Patrol. Long live Rex for the Super Skate Days that I will always remember. All the times he had a laugh over my non skating abilities. He use to help me across the rink as many times I would freeze up. I never belonged on skates. But he would always encourage me to go for it. That’s why he is what he is a.good man. Long live his memories. No disrespect towards Rex, but why is the CAP HQ’s publicly memorializing this man after they terminated and condemned him? There are more complaints and suicides in Civil Air Patrol than one might think given all the happy photo-op smiles in the press. Complaints that expose these corrupt commanders result in threats, reprisals, defamation and eventual excommunication. The suicides, to include last years Anchorage suicide crash of Cessna 172 N914CP, are of concern to prospective parents and their teens looking at the CAP Cadet Program. Ray Hayden said a few words about RG’s efforts on the CAP Insights blog. What these people have done and appear to be getting away with through their defamation is totally reprehensible. Our family has backed away and we are letting others know through all the EMA channels. Thank you for covering this in a dignified manner.